At the lunch for the regional chairs that concludes the Decanter World Wine Awards there are always a few prizes for some of the judges. 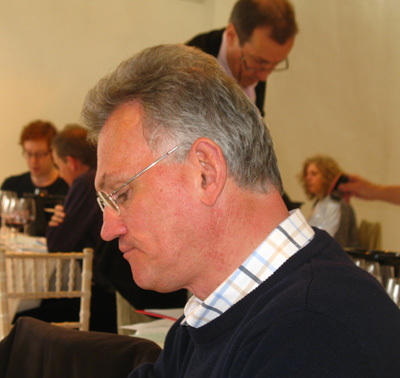 For the third year the lunch – very good indeed – was held at Enoteca Turi in Putney, London. 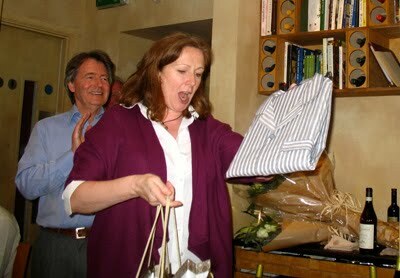 Sarah Kemp, Decanter's publishing director, presented the awards. 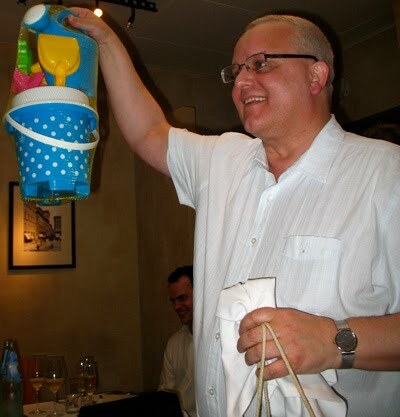 Following his message to the wine world earlier this year (see below) that he would be chained to his desk due to various impending book projects, Tom Stevenson received a bucket and spade set appropriate for a man who needs a holiday. 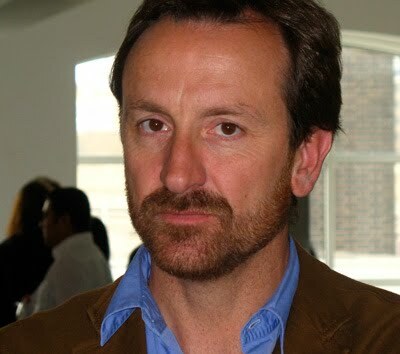 John Livingtone-Learmonth received the 'easy virtue ' prize – once the most parsimonious of regional chairs when awarding golds, John has been able to award many Rhône golds this year. Giles MacDonogh and Richard Mayson were joint winners of the Horlicks Award given to those who are the latest to finish their daily judging sessions. 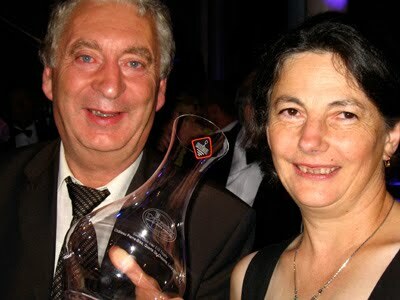 The 2010 Decanter World Wine Awards attracted just under 11,000 entries. 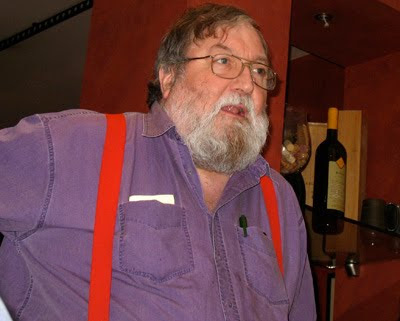 Ebullient and larger than life John Radford, leading Spanish wine expert, silenced the celebratory lunch at Enoteca Turi in Putney to mark the end of the 2010 Decanter World Wine Awards. 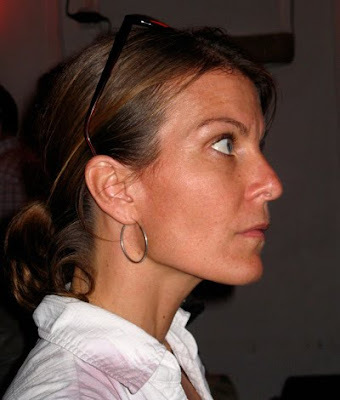 Speaking to a room packed full of famous wine writing names Radford's off the cuff remarks about event organiser Christelle Guibert's red shoes caused a collective gasp of surprise and an sharp intake of breath. Last night several of the judges@the Decanter World Wine Awards met up for an evening in Terroirs, a fashionable wine bar near Charing Cross. To start the evening with distinguished wine writers:Andrew Jefford (now returned from his year in Australia), John Livingston-Learmonth (King Rhône and betting-aficionado extraordinaire), Anthony Rose (wine correspondent for The Independent) and Giles Macdonogh (author of many books on wine and history). Then a couple of reds: juicy, easy drinking 2009 Vin de Petanque de Libian from the Mas Libian in the Coteaux de l'Ardèche and a fine and characterful 2008 Cuvée Vieilles Vignes, Brouilly from Jean-Claude Lapalu. Most of us shared a generous selection of charcuterie including salami, duck rillettes and a paté of pork and pistachio nuts. For main course I had a very good boudin noir with a couple of fried eggs, mousserons and baby broad beans. Bernard Fouquet's 1996 Le Marigny, Vouvray Sec made a fine apéritif this evening. Although now 14 years old this is still youhtful and it has developed attractive citric honey notes balanced with ripe acidity in the long finish. 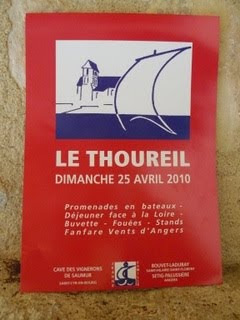 Report on visit to Bernard Fouquet in January 2009. As reported in the previous post we had two panels judging the Loire today due to the unprecedented level of entries, We judged a range of whites including wines from Cheverny, Reuilly, Menetou-Salon, Pouilly-Fumé, Sancerre, Muscadet, Touraine, Savennières, Vouvray and the Coteaux du Layon. Decidedly beyond the call of duty, Chris Kissack was up at around 4am this morning to catch an early flight from Edinburgh to London Stansted. 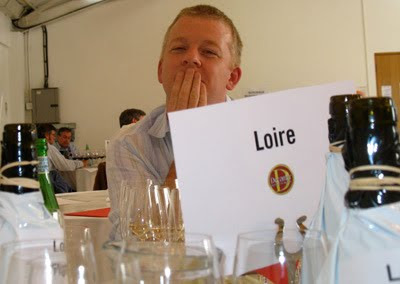 Today sees the first day of judging for Loire wines. The good news is that the number of wines is apparently well up on previous years, which means for the first time we will need two panels of judges today, with one on Thursday. As last year we have Chris Kissack (The Wine Doctor down from Edinburgh), Sarah Ahmed (The Wine Detective) and Nigel Wilkinson (RSJ Restaurant) for the two days. 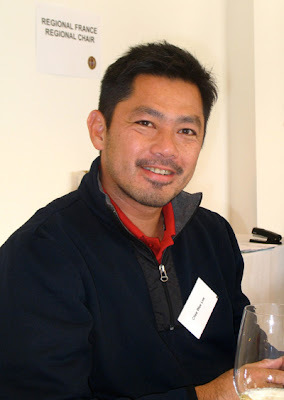 They will be joined today by Nick Room (wine buyer for Waitrose), Göran Klintberg (a Swedish wine buyer) and Chee Wee Lee (Equitable Nose on The Local Nose site based in Singapore). 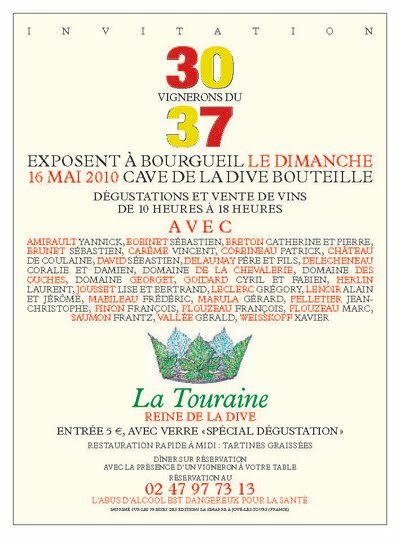 This event is primarily organised by Xavier Fortin using his contacts, so the wines are usually ones that are also bought by him for the restaurant (La Promenade) For your information, It's an annual event and is always the first Sunday in July. Les éclats de rire se sont enchaînés samedi soir à la salle des fêtes d'Epeigné-les-Bois lors de présentation des nouveaux sketchs des Sans Nom. Une franche rigolade tant sur les réflexions des fermiers joués par Gérard Kalvelage et Françoise Delétoille, que sur les maladresses du jeune amoureux joué par Quentin Gentilhomme. Les sketchs présentaient une foison de situations cocasses et de personnages typés qui n'ont pas laissé le public indifférent. Un spectacle à voir ou à revoir samedi 5 juin à Luzillé grâce au soutien de la municipalité et de la fanfare municipale. Tous les recoins de la Cave vous offrent différentes spécialités gastronomiques, du foie gras aux charcuteries en passant par les fromages de chèvres. Rencontrez à cette occasion une ambiance unique, une convivialité chaleureuse, et une décontraction apparente qui sont le reflet d’une génération montante tournée vers l’avenir. 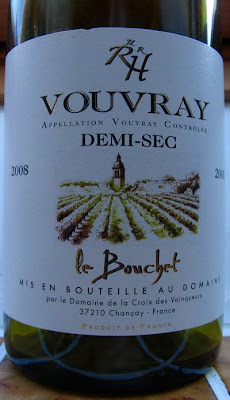 Vouvray ? 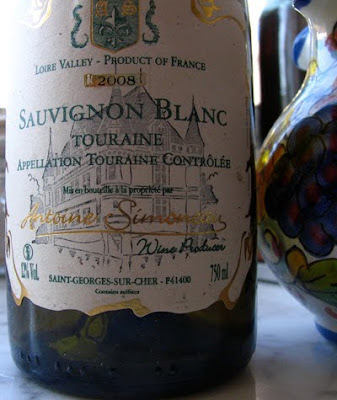 C’est un vin qui a du style et sait toujours vous surprendre, selon vos goûts et l’humeur du moment. Sec, demi sec, moelleux ou « fines bulles », c’est vous qui choisissez ! Il est sophistiqué mais facile à découvrir, élégant sans se prendre au sérieux. 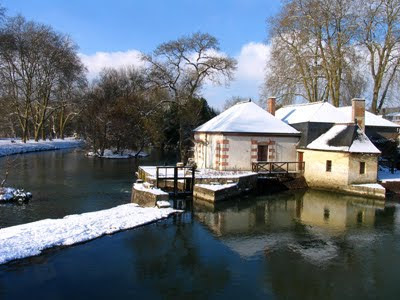 Venez découvrir l'appellation confidentielle de Touraine Azay-le-Rideau, située aux portes de Tours. Ses terroirs originaux produisent des vins blancs et rosés magnifiques ! Célèbre pour son château, parmi les « grands » du Val de Loire, la région d’Azay-le-Rideau est aussi réputée pour la culture des arbres fruitiers. C’est un territoire paisible, au coeur duquel on peut découvrir des sites patrimoniaux ou des savoir-faire traditionnels. 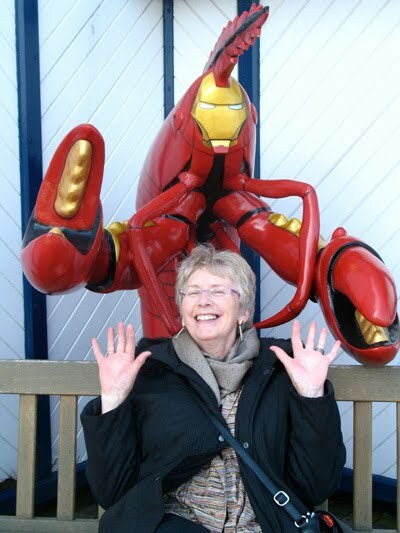 Apart from some heavy showers on Sunday we had excellent weather for our stay in Cromer, where we sampled the local speciality – crab. 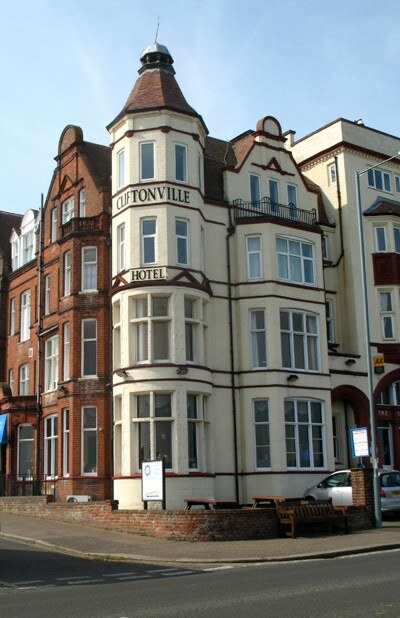 We stayed at the comfortable and friendly Cliftonville Hotel overlooking the sea. Our best meal was dinner on Saturday night at The Pepperpot in West Runton, which is about three miles west of Cromer. The best selection of wines was also at The Pepperpot; the selection elsewhere not worth a diversion! 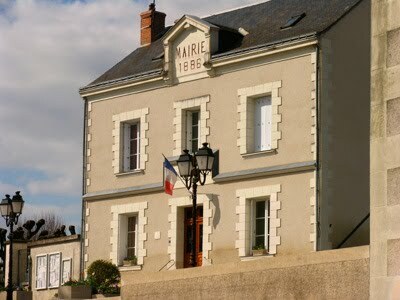 Domaine de Nerleux in Saint-Cyr-en-Bourg is run by the Néau family and is a long established family estate making a very consistent range of wines. This 2008 demi-sec was further confirmation of the quality of Laurent Bonneau's Vouvray. 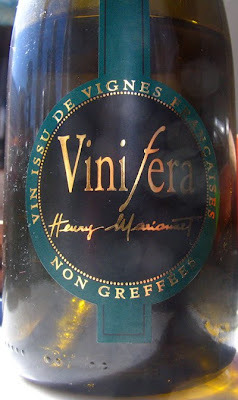 This made a very attractive apéritif shared with Susan and Simon from Days on the Claise on a sunny Friday in Epeigné. The light sweetness is counterpointed by the precision and minerality. 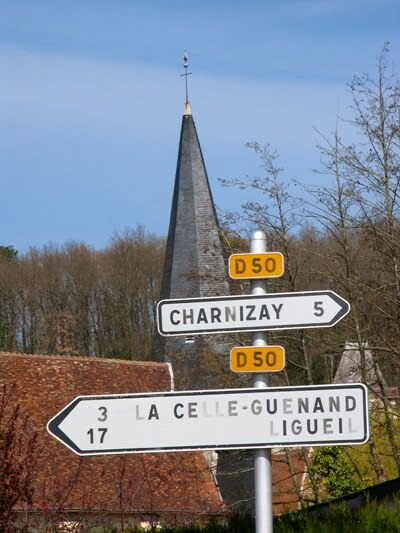 From Laurent Bonneau, a recently installed vigneron in AC Vouvray, to Domaine Filliatreau long established leaders in Saumur-Champigny. 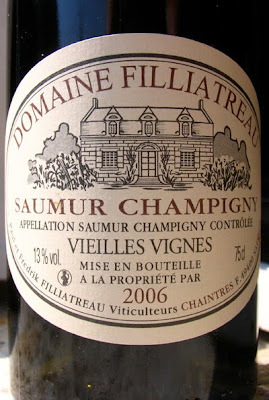 This 2006 VV is still quite youthful with a good concentration of black fruits and quite soft tannins. Underlines that although 2006 is less celebrated than 2005 there are some very good reds from this vintage. 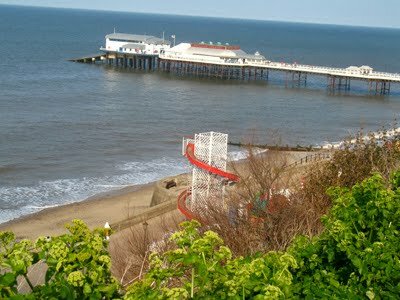 Here in Cromer for the latest edition of our annual get-together of a group of friends that were at Manchester University. We always meet up at a seaside resort that has to have a pier. Had a good evening in the Red Lion in the centre of Cromer – friendly staff and good food. Henry Marionnet has around 5 hectares of ungrafted vines (in most of the world's vineyards the vines are grafted as a protection against phylloxera). 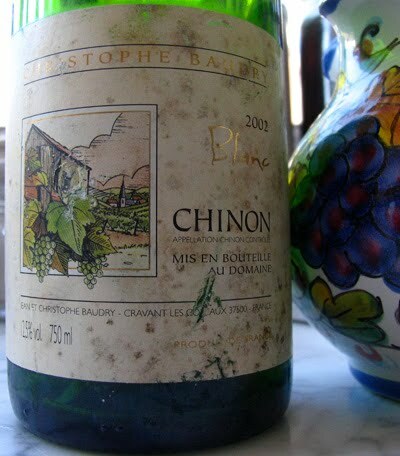 This 2007 Chenin is decidedly austere and minerally – if I had any additional bottles it would interesting to see how it will age further. It may be that this Chenin is in its dumb stage and may open up again in a few years time. This Vin de Pays du Val de Loire comes from Hervé and Nicolas Choblet of the Domaine du Haut Bourg in Bouaye, the leading town in the AC Muscadet Côtes de Grandlieu. The 2009 is attractively fresh and fruity, slightly grassy but also with grapefruit and other citric notes. This is a good easy drinking wine with no great length or complexity but makes an attractive apero and I'm sure would be good with goats' cheese dishes. The Choblets, who may be related to the Choblets (Luc and Jérrôme) of the Domaine des Herbauges in Bouaye, have 40 hectares of vines. The Choblet's Sauvignon Blanc is available in the UK through Dudley Jones Fine Wine (www.dudleyjonesfinewine.co.uk/). 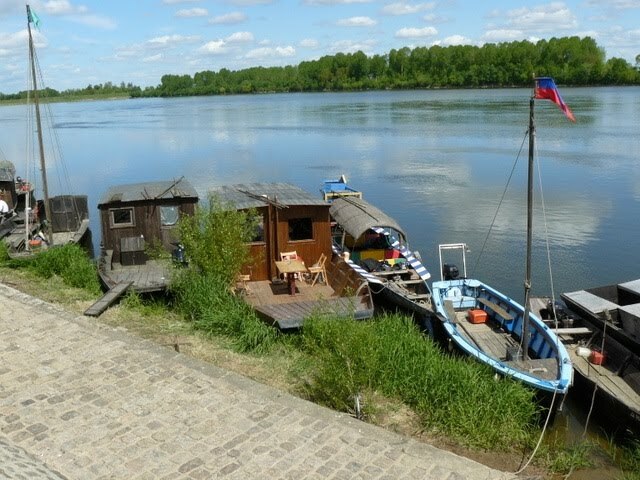 La Nouvelle République has an article on the first anniversary of La Promenade in Bourgueil, which is a café, a bar à vins and also an hotel with five bedrooms. 'La Promenade a rouvert ses portes en mai dernier : Ludovic et Sophie Ragot ont redonné vie à ce café qui était fermé depuis une quinzaine d'années. Et quelle vie ! Eric Narioo and his Les Caves team continue to bravely and fearlessly explore West London's 'badlands'. Last year it was Porchester Hall. 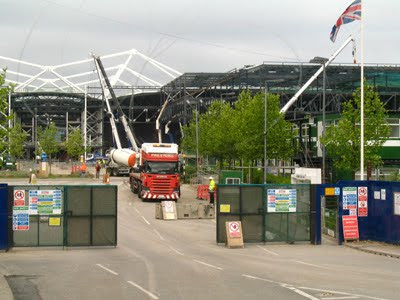 For 2010 they moved a little further west down the tubeline to Latimer Road. As usual Les Caves' invitation nailed their colours and beliefs to the mast – no room for ambiguity here! Real wines – natural wines and a lack of 'imaginary' bottles... Last week's demonstration of natural wines by Dynamic Vines was in this sector of London – perhaps it has a particular affinity with this style of wine. Althugh there were many enticing things to taste from across the world, I unfortunately only had time for those from the Loire and a few others. Incidentally a different type of reality – flight restrictions due to volcanic ash – had hit this "real wine" tasting preventing around 35 out of the 60 growers from making it to London. Tasting 'real or natural' wine is always interesting and an intellectual challenge. At what point along the drinkability continium do the faults or 'natural' characters outweigh its virtues and render it so bizarre or off the wall that it is no longer a pleasant drink? With one exception all were well on the right side of the drinkability continium.Little sign of jihadism in this selection of Loire producers! The notion of a complete non-interventionist approach to wine-making is probably a caricature. Carried to its exteme you would wiat until the grapes fell from the vine. 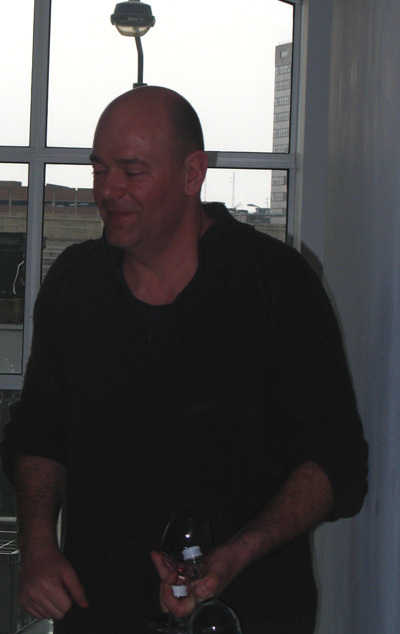 Good winemakers realise that you have to intervene – deciding when to pick, how long to macerate etc. I always think it is rather like cooking. Yes often using simple ingredients simply cooked is the best. But this doesn't mean you don't have to pay close attention to detail. Simply grilled fish is delcious if you get it right but there is a very narrow window when it is just right – a few seconds either way will give you either underdone or overdone fish. Often just less than a minute too much is enough to ruin that wonderful moist texture perfect fish has. Good cooking tends to demand that you are at the stove not trying to do two things at the same time – off elsewhere catching up on emails or digging the garden leading all too often to burnt offerings. I'm convinced that it is close attention to detail – lots of small things that makes a greater whole – is one thing that marks a real good producer. 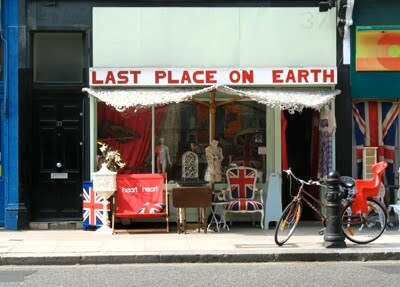 This is as true at this tasting of 'Real Wine' as it is elsewhere. Take Thierry Germain (Domaine des Roches Neuves) in Saumur. 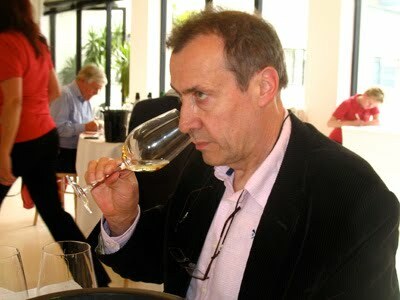 Since he arrived in 1991 Thierry has changed his wine styles considerably – always questioning. At one point he was making rich, full reds and whites with quite high alcohol. 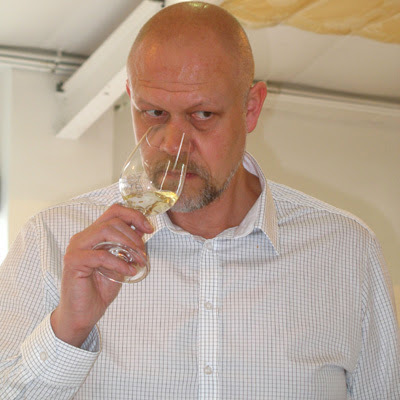 Now Thierry is looking for purity, minerality and precision. 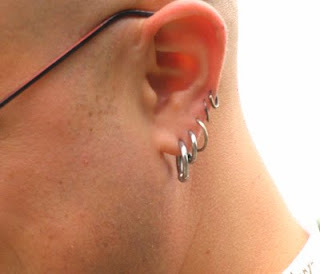 One could perhaps criticise him for moving from one extreme to another but to change the style involves intervention and it is evident that he pays close attention to detail. Always very consistent. The 2008 whites showing good concentration and ripeness. 2008 Isolite precise and quite austere. 2008 reds have sweet initial fruit but flirt with greeness in the finish. 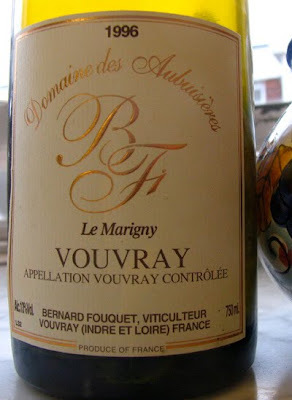 The Vouvrays continue to be better than the reds. Good range of medium weight reds. Having seen this domaine mentioed favourably on a number of occasions wasn't convinced by the two Gamays from 2009. This was the most exciting range of wines I tasted having lovely purity and vibrancy, particularly from the 2008s and the 2009s. Interestting to see Frantz starting a small negociant activity. 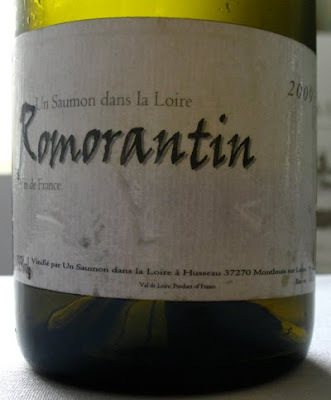 I liked the Menu Pineau (sourced from Saint-Aignan) and the Romorantin (from Philippe Tessier in Cour-Cheverny). I'll happily admit that I haven't got to grips with Sébastien's wines. I have only ever tasted them not drunk a glass with food. I find their oxidative nature masks both their grape variety and the terroir. They may well be drinkable but they are not Sancerre. 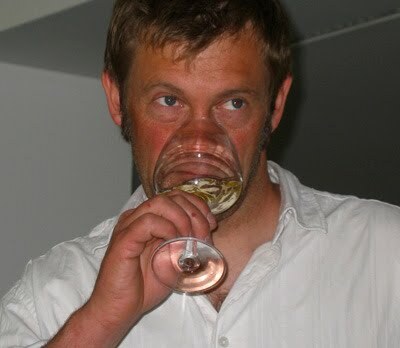 For Jamie Goode's take on this tasting click here to go to the Wine Anorak. The 2010 London International Wine Fair will for the first time ever incorporate a dedicated bloggers’ zone, reflecting the growing trend for social media within the wine trade. Brintex has teamed up with a number of key influencers in social media, including Ryan and Gabriella Opaz of Spanish and Portuguese wine blog Catavino, plus WineConversation.com, the European Wine Bloggers Conference, and Wineblogger.info to create “The Access Zone”. This 60m2 stand will offer bloggers a space to meet up and talk about wine online, incorporating a dedicated area for recording video interviews, as well as Wi-Fi and powerpoints, so that bloggers can upload their LIWF stories on-site. In addition, Catavino will run seminars and tastings designed to highlight how wine producers can utilise social media to engage consumers and build awareness of their brands. These seminars will incorporate an interactive element, as Catavino is inviting fellow bloggers to join them in running on-stand tastings, and making videos on-site. Already signed up to attend “The Access Zone” along with Ryan Opaz and his wife Gabriella are leading social media authorities Andre from Adegga, Wink Lorch from Wine Travel Guides, and Robert McIntosh from Wine Conversation. I'm not sure how much time people will want to spend blogging at the London fair as the main purpose of going is to taste wine, meet people etc. 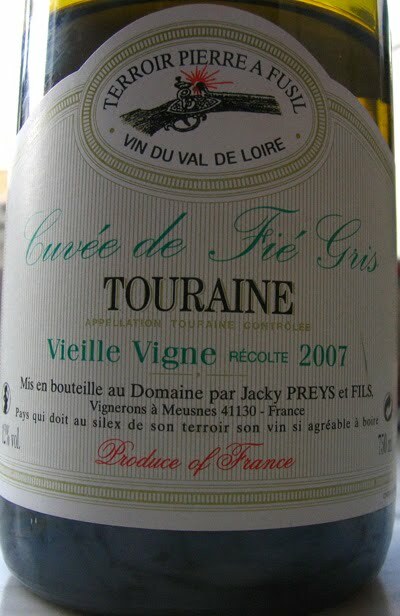 2007 Cuvée de Fié Gris VV Touraine Domaine Jacky Preys. Sunday night's apero: 2007 Cuvée de Fié Gris VV Touraine Domaine Jacky Preys. Made from Sauvignon Rosé (also called Fie Gris and Sauvignon Gris) which is more gentle and less assertive than many a Sauvignon Blanc. 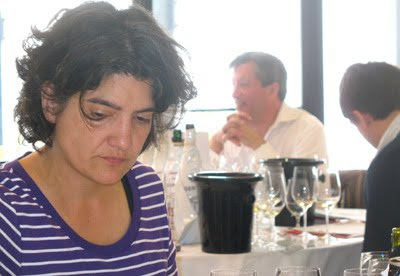 Jacky has been in the forefront of the revivial of interest in this grape variety. The vines are planted in flinty soil. Unfortunately I understand that the new AC Touraine regulations will not permit 100% Sauvignon Rose. Just another example of how daft the new rules are. 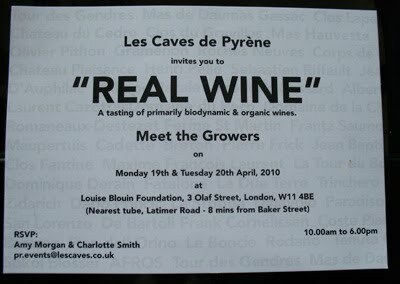 Off to Les Caves de Pyrène tasting later today. Will be interesting as always and interesting to see how many producers will have been able to make it over. Time for a round up of recent bottles starting with this very attractive 2002 Chinon Blanc from Christophe Baudry, which must have been made prior to the tie up with Domaine de la Roncée and the founding of Baudry-Dutour. Nicely evolved with honey and tufa (the aromas of a dry, clean limestone cellar), this has the typical balance of the 2002 vintage. Enjoyed it as an apéro over several nights and if anything it got better and fuller with time. Two reds from Domaine Robert Sérol that I visited last August. 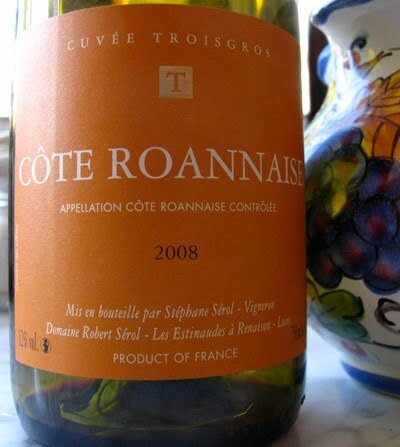 The 2008 Cuvée Troigros (name of the famous 3-star Michelin restaurant in nearby Roanne) is a typical easy drinking Gamay, which can be drunk on its own or with a light lunch. Rather mistakenly I tried with a magret de canard and as I should have realised it was too light for the duck. 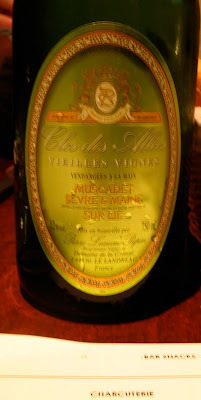 Les Millerands, even though it was a 2007, would have been better as it has more structure but we had opened that a couple of nights previously with cold chicken – a good match. Antoine Simoneau is a family estate in Saint-Georges-sur-Cher. 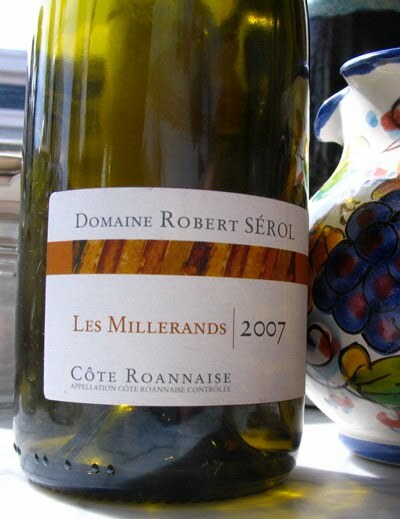 This 2008 has a few grams of residual sugar that rounds the wine out making attractive and easy to drink with ripe grassy and goseberry scents.The domaines whites tend to be more successful than the reds. Unfortuntaely there is a reliance on the use of weedkillers, which in some vineyards with a slight slope causes some erosion. It would be good to see a reduction in their use. 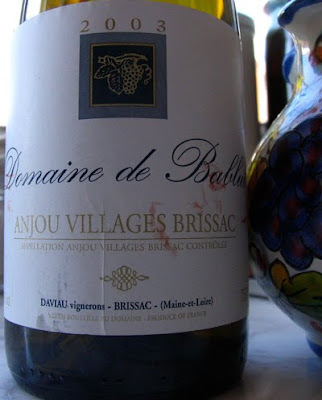 Domaine de Bablut in Brissac-Quincé is biodynamic and this rich and powerful 2003 is very typical of this heatwave vintage. Lot of concentrated black fruits giving the impression of coming from somewhere well to the south of the Loire. Still very much on good form and looks to be good for a number more years. More details on Le Tasting Room site. 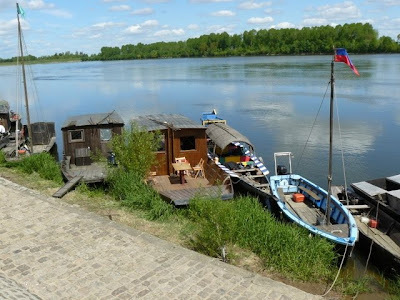 Julien and his father, Claude, have vines in Soings-en-Sologne at the western edge of the Sologne, a wooded region with many ponds and small lakes and famous for hunting. Not long ago I tasted Julien's 2004 Originel (100% Menu Pineau). 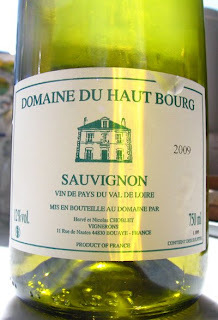 For the 2007 (£18.20) the blend has changed to 80% Menu Pineau with 20% Romorantin. I was agreeably surprised by the 2004 whereas the 2007 lacks charm and is quite oxidative and medicinal. I then moved onto two truly bizarre wines, especially with regards to their colour. 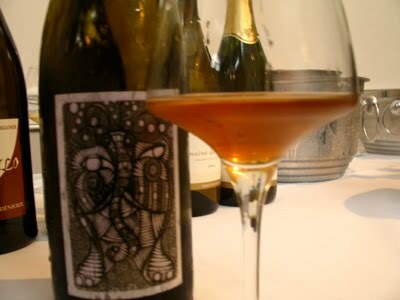 The photo gives the 2005 Equiss (VDT – 100% Menu Pineau) a rich golden colour when in actuality the colour was an extraordinary greyey brown-like the colour of dishwater. 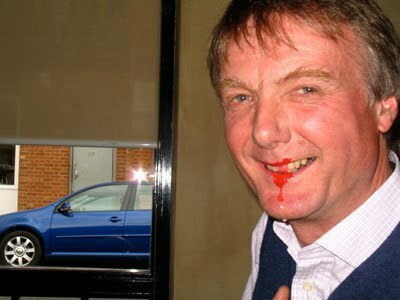 Julien must have considerable talent to achieve such a curious hue! 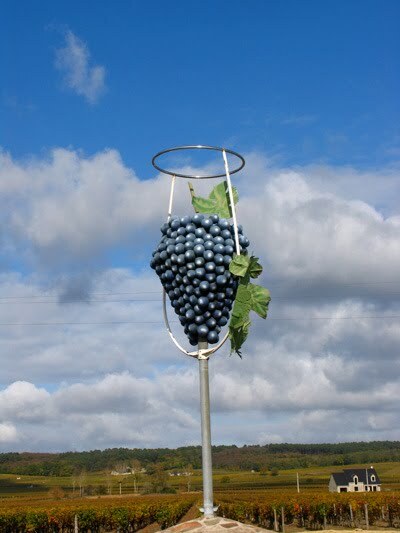 This is a vendange tardive but vinified dry. It does have a touch of honey but I certainly wouldn't want to pay £31.60 even if I did want to play a joke on friends. 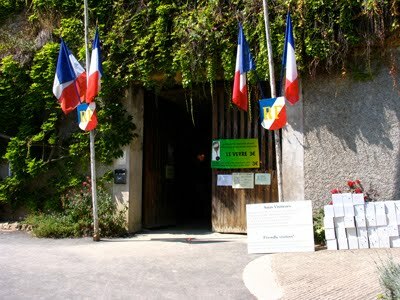 The 2005 Franc de Pied (VDT – 100% Menu Pineau) is also a vendange tardive and exhibits the same colour as Equiss. Also very oxidative with a note of iodine like an Islay malt. Again £31.60 a bottle. The three reds were a little better. 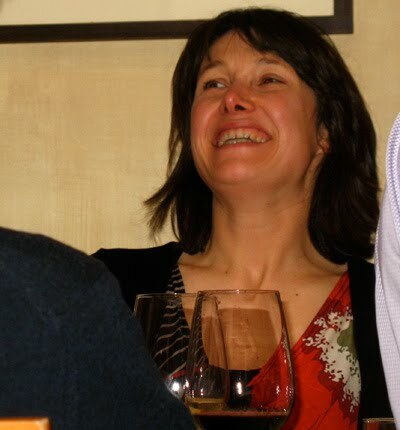 I tasted two Gamays – 2007 'Element-Terre' (£16.50) made from Gamay Chaudenay (a teinturier) – quite rustic with some greenish tannins in the finish. 100% was a Gamay à jus blanc was also from 2007 and was the best of the reds but very poor value at £17.90. The last red was the 2007 Ancestral, presumably a blend, supple with some fruit but quite marked acidity. Steven Spurrier was also at the tasting and I asked him what he thought of the Julien Courtois wines and he admitted he was equally bemused by them.